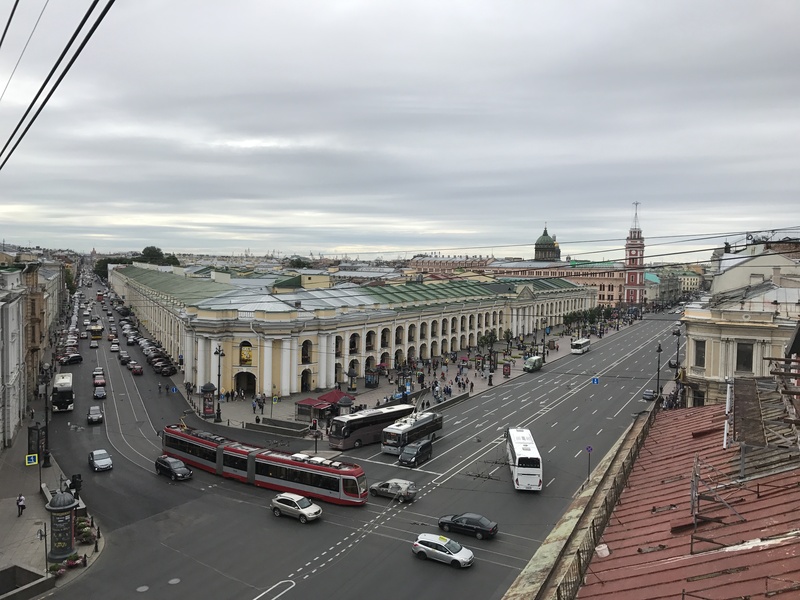 The reason to prefer surface transportation in St. Petersburg is the opportunity to admire the beauty of the city from the window during the trip. 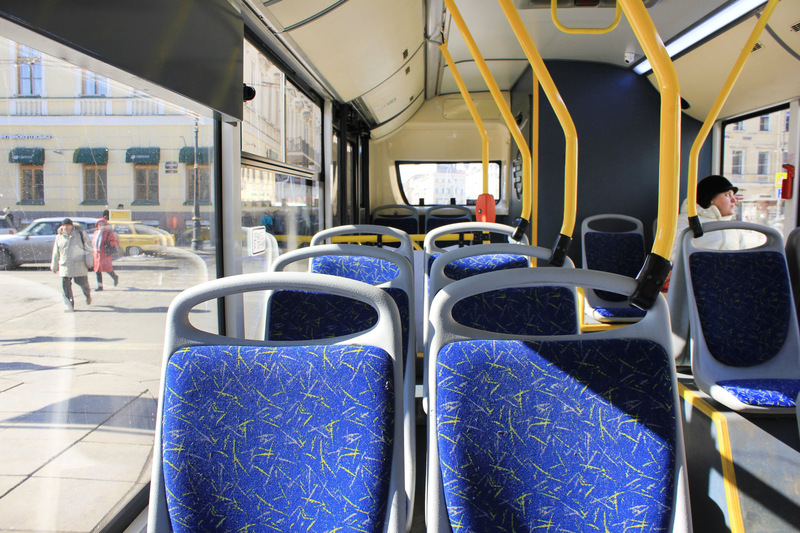 With a comfortable environment on the road and the availability of free seats in the cabin, a trip in a bus or a trolley bus is a real pleasure. Land transport is preferable in the case when the route in the metro involves a transfer, and the journey on foot takes at least half an hour. Surface transportation also helps when there are no metro stations nearby. Yet the land transport network is wider. Public transport stops stretch to the very outskirts of the city and go beyond it. The approximate schedule of land transport operations is from 5:30 am to 6:00 pm to 00:00:00 to 30:30. The exact schedule for a particular route can be found on the carrier’s website. Runs transport on a schedule: at a specific time or at intervals of 10 to 20 minutes. Schedule on workdays and weekends varies, sometimes there is a separate schedule during peak hours, daytime, so be careful and watch the schedule day to day. The fee in surface transportation, i.e. St Petersburg bus, tram and troleybus in 2018 is 45 rubles per trip or one piece of baggage. If you plan to move constantly around the city not on foot or by car, but by using public transport, purchase a travel card on the first day. This is a bargain! A combined fare for St Petersburg land transport for 10 trips will cost 310 rubles instead of 450. You will be able to use all types of ground transport: tram, trolleybus and bus. for 1 day – 180 rubles. for 2 days – 255 rubles. for 3 days – 340 rubles. for 5 days – 510 rubles. for 7 days – 680 rubles. A single electronic ticket that provides the right to travel within a fixed amount is called “Podorozhnik”. The first to tenth trip will cost 31 rubles and will decrease by 1 ruble after every tenth trip. In any case, the fare will be lower than if you pay for the trip in cash each time. The carrier card itself costs 60 rubles. It pays off after 15 trips and eliminates the need to carry cash. 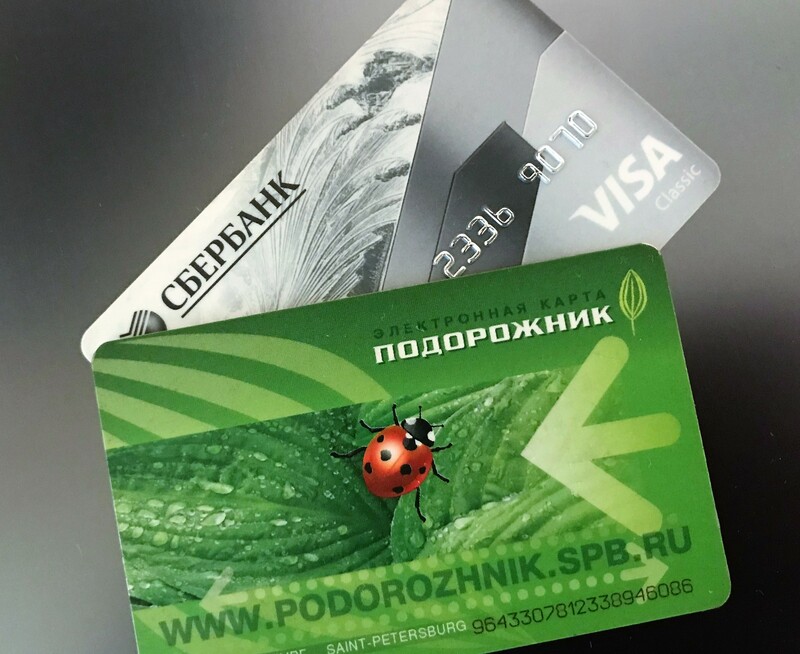 Electronic ticket “Podorozhnik” is like a wallet on which you can deposit any amount. Use it when you pay for travel in any form of transport, surface and underground, social and commercial. It can be replenished online on the metro website, in cash or by card at the metro ticket offices and vending machines at the entrance to the metro. Pay online – activate the card by attaching to the visualizer at the metro station or at the cashier. Otherwise the card will not be recorded, and it will not be possible to pay for the trip. During the period of water navigation from April 30 to November 15, night buses operate. Their route duplicates the branches of the subway. You can count on them from 00:00 to 06:00 on the night from Friday to Saturday and from Saturday to Sunday, as well as on holidays. Single fare for travel – 40 rubles. Tickets are accepted. They rarely go – one bus in 30 minutes. All public transport in St. Petersburg is equipped with Glonass navigation systems. Consequently, you can see where the trolley bus or bus you are right now is located. On the public transport portal of St. Petersburg lay a route for St. Petersburg land transport and track its location here. This interactive map saves you from long waits at stops and allows you to plan your time to the minute. Yandex. Maps on your mobile will tell you how to get “from” and “to” by land transport in St. Petersburg also. Just enter your location and enter the name of the object. Surely you will be offered several options for public transport. They also warn about the difficult situation on the road, and calculate the travel time, taking into account traffic jams. In the transport itself, as a rule, they also declare stops and duplicate them in the cabin with a running line. Football fans were granted free use of public transport in St. Petersburg during the games of the World Cup 2018. At each stop there are, at a minimum, the usual yellow or blue signs with the numbers of buses and trolleybuses, their routes and timetable. There are often electronic displays showing the waiting time of transport in real time. And on Nevsky Prospect, an innovative “smart” stop has been established near the Gostiny Dvor. It is equipped with an electronic scoreboard with display of waiting times for transport, routes and timetables, Wi-Fi and USB sockets. Waiting here is more comfortable, and time can be spent with benefit: recharge the phone and use the free Internet. The first tram passed through the streets of St. Petersburg in 1907. This type of transport is a kind of attraction of the city. The most scenic route in St. Petersburg is №3. Recreated after a long break, the route was re-launched in 2016. He runs along Nevsky Prospect and Troitsky Bridge. From the window of the “troika” opens views of the Summer Garden and the Field of Mars, the cruiser “Aurora”. Do not miss the opportunity to ride on this route and consolidate the sights seen earlier. 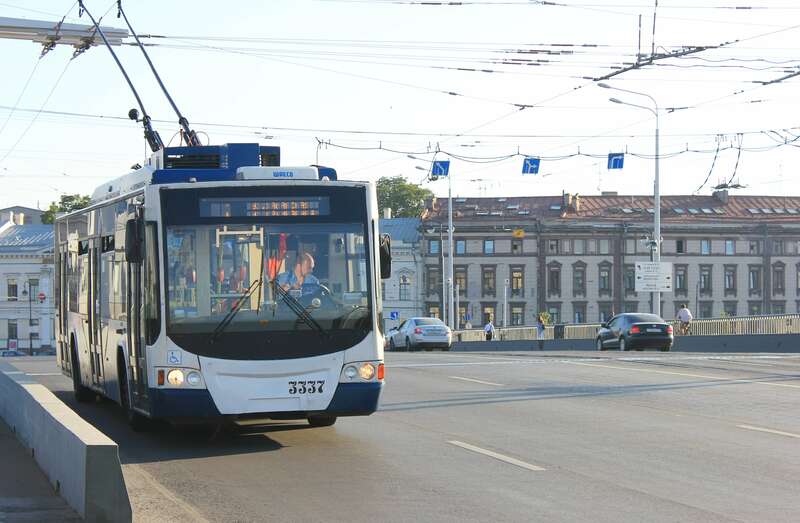 There are 42 tram routes in St. Petersburg. They are independent of the situation on the road, and despite their slowness, more reliable. The beginning and end of the movement on routes is determined by the schedule. Movement from the end stations starts at 5: 30-6: 00, ends at 00: 00-00: 30. More information is available on the carrier’s website. You can find a route map. otherwise you risk passing by. In general, minibuses are more suitable for those who already know the city well. There are fewer landmarks here, and no passenger stops are foreseen. In general, this is the fastest and very common ground transportation in St. Petersburg. It may be less comfortable, but the travel time is shorter. We advise you to choose ground transportation if you need to overcome short distances in the central area of ​​the city. Then the trip will not take much time and will be remembered for a great view from the window. In the case of large distances and constraint in time, use the subway.